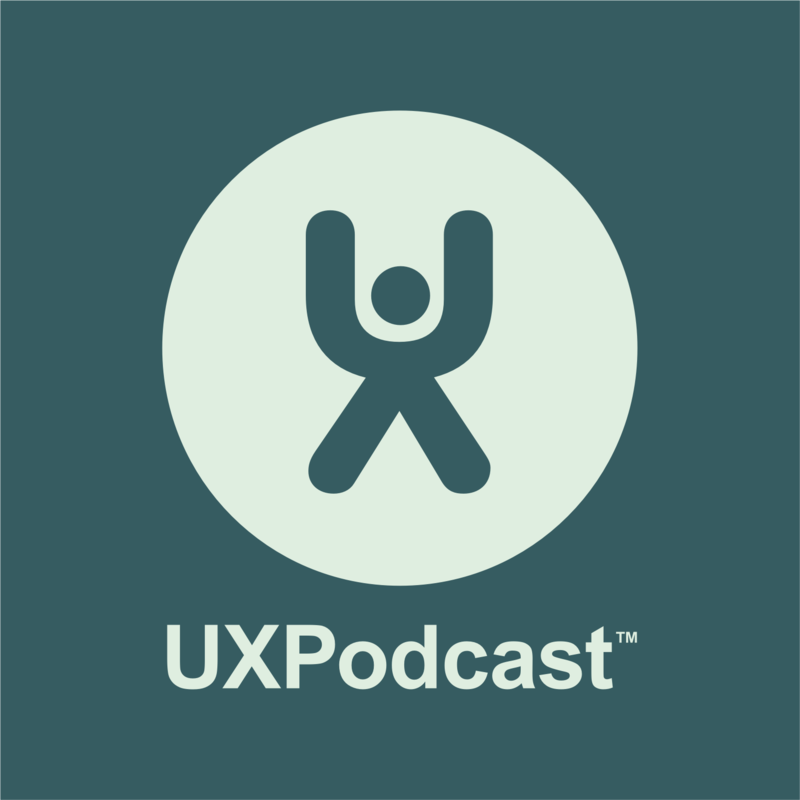 A transcript of Episode 208 of UX Podcast. James Royal-Lawson and Per Axbom talk to Jessica Ivins and talk about what you could and should do ahead of hunting for your next UX job. JAMES: Hello, I’m James Royal-Lawson. PER: And I’m Per Axbom. JAMES: And this is UX Podcast. We’re in Stockholm, Sweden and you’re listening in 184 countries from Zambia to Portugal. PER: Jessica Ivins, UX designer, speaker, teacher and learner. She works at Center Centre, the UX Design School in Chattanooga, Tennessee founded by Jared Spool and Leslie Jensen-Inman. JAMES: Jess is someone we’ve referenced in a number of shows and even featured one of her articles in episode 190. PER: Right. And the article we featured in that link show was how to maintain a professional network throughout your UX career. And that together with a number of articles Jessica has written laid the seeds, which brings us to bringing her on the show for a chat today. JAMES: And the topic will be Getting Your Next UX Job. JAMES: I think all three of us get quite a lot of questions and enquiries from people asking for tips about how they should get going in UX or get a job in UX, or even get consulting gigs in UX. What kind of questions do you get, Jessica? JESSICA: Yeah, so I got all sorts of questions about this particularly because as you know, I’m an educator, I’m a faculty member at Center Centre or the UX Design School and our goal is to prepare our students to be industry-ready UX designers and get them jobs at graduation. So this is very, very top of mind for me. Like the whole job searching journey from the very, very beginning to when you’re actually in your new job. One of the things I really enjoy talking about with people, and I’ve written about this before, is planning for your next job search well before you’re actually searching for a job. So thinking ahead of time about how to put yourself out there, how to be known, how you want to be seen in the field so that if heaven forbid you were to get laid off or lose your job, you’ve already done a lot of the legwork and people know who you are and it’s much more easy for you at that point to get interviews and to get job leads than if you wait until you’re ready to look for a job and then start from scratch. PER: I really liked that approach because it’s just so much easier to prepare when you don’t have any pressure. JESSICA: Yeah. I like to compare it to saving for retirement because at least here in the United States – I know you have listeners all over the world, but here in the United States, it’s up to you for the most part to save money for your retirement so that when you stop working you can still pay your bills. You hear in America all the time, “Don’t wait too long to save for retirement. Don’t wait until you’re getting close to retirement to save. Start saving early.” And I like to apply that thinking to getting a job. Start putting yourself out there ahead of time. Start thinking about what type of job you would want next if you were to lose your job and you had to get a new job and how do you present yourself as that type of designer to the industry? JAMES: So basically you’ve got to invest something every week or something in how you would maintain yourself. JESSICA: Yeah, exactly. It’s really small investments. That’s what I tell people. And it could be weekly, it could be biweekly. I recommend no less than biweekly because the things that you do regularly and the things that you schedule are the things that get done. So if you schedule something once a month, chances are you’re just not going to get to it. Because if it’s this once a month thing, you don’t have a habit around it. But if you’re doing it once a week, chances are you’ll probably get to it once a week. And if you don’t get to it every week, you’re probably going to get to it every other week. And at that point it’ll get done. And it could be as simple as 20 minutes a week. And it could be as complex as hours and hours every week. There’s no limit as to how much time and energy you want to put into it. I put a lot into it. I’m also in a position where I don’t have children and I don’t have any other sort of obligation outside of work that takes up my time so I can put a lot of time into it. But you don’t have to put a ton of time into it. Like I wrote an article talking about everything that I do to put myself out there as a UX designer. And I said several times throughout the article, you don’t have to do everything that I do. You don’t have to put hours. I probably put at least three hours outside of work time every week into building what I call my UX brands. But you don’t have to do that. It could be something like 20 minutes a week. Just really simple things to get yourself out there and to put in that legwork ahead of time. PER: Something I’ve seen you doing, I think, is actually tweet links to the same articles over a period of time, which to me seems like a hugely efficient way of doing it. You have these articles that are really good, we featured some of them on the show before. Just repurposing and reusing content is something that we’ve talked about in other contexts within the show as well. Thinking about doing that for yourself, it’s just up talk about saving time. JESSICA: Yes, and that’s a big social media marketing strategy. We’re small here at Central Centre, so I chip in to all sorts of things. Especially right now since we’re in between student cohorts and we don’t have students enrolled, I help out with things like social media. Social media marketers will tell you that it’s okay to take a resource that you want to share with your audience and share it multiple times and share it in different ways. So you might have a great UX article that you want to share and you can pull several different quotes from that article and then set up tweets to go out to that article. You can even reuse some of the same tweets or LinkedIn posts after – I don’t know so much about LinkedIn, but with Twitter, Twitter is so fleeting. People, even when they follow you, they’re not going to see everything that you tweet. If you tweet the same link two weeks later, chances are different people are going to see it. I once heard the analogy with Twitter that being on Twitter is like attending a cocktail party. Like there’s a big room full of people and at any given point you’re with one group of people hearing one conversation. But there are lots of conversations happening. So there’s no way that just because you’re in the room that you’re going to hear all the conversations. In that sense, I think it’s okay to repeat yourself and like you were saying, it’s just a great use of time and reuse of resources. JAMES: I know that’s something that both Per and I have got a lot of thoughts about is the whole thing with portfolios. What do you say to Center Centre students when it comes to creating a portfolio as a UX designer? JESSICA: Great question. Along the lines of what we were just talking about, one of the things that we work on with our students is making sure that they get started on their portfolio right away. We have a two year program as I mentioned, what we don’t recommend and we actually designed the programs, so this doesn’t happen is we don’t recommend that you wait until a year and a half into the program to start thinking about your portfolio. We teach our students to capture project work from the very beginning and create what some people call a project diary. So that as you go through projects you are capturing the work that you’re doing. You’re taking screenshots of your designs, you’re taking photos of you working with other people, you’re taking photos of sticky notes on the wall. You are taking notes about the actual work that you’ve done. And you’re capturing the actual work and you’re logging it as you go. And it’s really easy to do that on a regular basis. It only takes a few minutes a day, right? And as long as you put it into some sort of trusted system, whether that’s Dropbox or a Google doc or however you choose to organize it, as long as it’s in some sort of organized system where you can go back and find the material, you have all that material ready. With our students over the course of two years, they have all this material saved up and they’ve taken notes so that when they go back and look at what they did a year and a half ago, they have all the materials in an organized system. They have notes about what they did so they can remember what they did. They use all that raw material to craft their portfolio. It makes the portfolio creation process so much easier because as you both probably know, the last thing you want to do is sit down and try to remember something you did a year and a half ago so that you can put it in your portfolio. You’re not going to remember most of what you did and you’re going to have a really hard time struggling to find the materials that you need. JAMES: I think Jared Spool has mentioned the design log when we’ve talked to him previously. And I think I said it’s a really good idea because I mean I don’t jump like the idea of the classic portfolio with lots of pretty pictures. Because we’ve seen the problem we have in the UX field is the final pretty design, isn’t really what we work with, but of course it’s been something that employers have of looked for over the years. They’re looking for graphic designer, all that kind of graphical design aspects during interview processes in many occasions. That makes me scared of a classic portfolio. JESSICA: Yeah, I agree. I mean the portfolio really the stories in your portfolio are really about the journey that you took and how you went through the project and how you got over the hurdles of the project and how you produce the best design possible within the constraints that you have. That’s really a story that’s not the end result, right? That’s not like, “Oh, here’s a screenshot of what we launched.” That’s not really telling the hiring manager what you can do. Really the hiring manager wants to see a story they want to see what was the problem that you had to deal with in this project? How did you and your team deal with this problem? What was your role on the team? How did you divvy up work and what was the context of your work? What did you do and what problems did you hit? How did you overcome those problems? And what did you release as a result? That’s really the classic story. You can plot that into a story arc. That’s what we teach our students is because we as human beings are wired to hear stories. We don’t like reading boring lists or think of like, I joke with my students that you don’t want to sound like Ben Stein reading and shopping list, right? You don’t want to sound like this monotone, “And then we did this and then we did this and then we did this.” Because that’s boring. Whether you’re actually telling a hiring manager a story in an interview or you’re writing a story for your portfolio, you want it to be engaging, you want to even get Hollywood about it. Be like, “Okay, we thought we had it all figured out and then this happened. Then the deadline moved and we had a week less. This is what we did. And then somebody got sick and they were supposed to do the usability testing and then they got really sick and had to go into the hospital. We had to scramble because we had participants coming in and here’s how we pulled that off.” Like hiring managers love that. First of all you’re and you’re tapping into the human brain that loves story and you are showing evidence of what you can do to the hiring manager in a really engaging way, excuse me, what you can do for the hiring manager in a really engaging way. PER: I think this is a hugely important point because I, I was actually doing portfolio reviews at an event recently and it was a lot of pretty pictures but I stood there talking to them and I was asking about the pictures and I was hearing you fantastic stories about how they came up with them and why. And this woman who had epilepsy, who had built an app for people with epilepsy. And it was hugely interesting. And I basically had one question for all of the people I talked to, “Why didn’t you put that story in your portfolio?” And they were like, “Oh, I didn’t think about that.” And the more people realize this, the more happy they will be with the jobs they get because of course the danger and huge risk here is that if you have a lot of you have are pictures, this is what you’ll get hired on and what you’ll be expected to be performing on and not all the work and the storytelling that was part of that project. JESSICA: Yeah, I remember there was a woman who contacted me and asked to video chat with me for guidance on her portfolio. This was about a year ago, so I met with her and we went through her portfolio together and she had this portfolio piece about these wireframes that she had created. Now she was kind of a career shift or she was doing some UX design at her job, but she was trying to move on to a fulltime UX job. I’m looking at that at her portfolio piece and she basically says, “Here are the wireframes I created. Here are the tools that I use to create them and here’s the project.” But that to me wasn’t the interesting part. JAMES: Maybe the fact that we said portfolio so much is in itself the problem. Part of the problem. I love the whole thing here and when we’re talking about career stories or project stories, that kind of framing it as career stories feels much more exciting for me. I kind of, I’m getting interested just by hearing the title rather than getting worried about, Oh God, we’re just going to see in a one-dimensional pictures in a portfolio. I’m thinking as well about how if you go into an interview situation, talking about these stories, it becomes so much easier perhaps when you’ve already prepared the stories. It’s like having a half ready script in your collection instead of just a flat picture. JESSICA: Yeah. We talk with our students all the time about having stories on the ready. Stories that you can tell at networking events about the work that you’re producing, going back to what I was saying earlier, and putting yourself out there as a designer, because human beings we’re wired hear stories like I said. If you’re at a UX networking event and people ask you, what are you working on right now? If you have some really engaging stories that you’ve even practiced and rehearsed and that you can share, it’ll come off really strong. Whether you’re preparing for an interview or you’re preparing to go out to a networking event, story is huge and if you can tell a great story that shows evidence of the work you can do, it really makes you shine as a designer. PER: How do you start building your network? Because that’s a question I get a lot. Because I pick us, we have all these thoughts around, so keep working on your social media presence. Keep being out there, but what if I don’t have that many followers? What if I don’t have that many people in my network? Where do I start and how do I approach people without coming across us to needy? JESSICA: Yeah. I think part of it is just one step at a time. Like we all had to start somewhere, right? Like, I think I have about 7,500 followers on Twitter right now, which is a decent amount of followers, but I had to start from zero and I didn’t join Twitter until a little bit later than everybody else did. I think I joined in 2008 and everybody else had joined kind of late 2006, 2007 whenever it first started. JAMES: I joined 2009 that was after you. [Laughter]. Most people really enjoy talking about themselves and most people really appreciate it when you genuinely listen. That’s what I recommend is when you’re building a network, which could just be one person at a time. Like you could set a goal like, I’m going to this UX event tonight. My goal is to meet one person and have a meaningful conversation with them and listen to what they’re working on. And if you do that, chances are that person’s really going to appreciate you and remember you and maybe even help you later. PER: That’s really good advice because I think it’s for some people just getting out there for the first time and seeing all these people around you that have these many followers and you think it’s just too daunting of a task to get on with, but it is always for everyone one step at a time. JESSICA: Oh yeah, of course. Yeah. I set little goals. I even still do that today. Like, here in Chattanooga tomorrow I’m probably going to go to a local technology event and I usually set a goal to introduce myself to one person I don’t know, and just talk with him for a little while and ask them about themselves. I usually try to get their card and send them a LinkedIn request afterwards. It’s just like one simple goal and that doesn’t even take my whole night. I might be there for an hour and a half. It could take me 20 minutes to do that and then I can spend the rest of the night doing whatever else I want because I met because I met my goals. JAMES: What if you’re all quite active in social media and well write articles and record podcasts. But what if you’re someone who works like full time, you’re really busy, maybe you don’t work in one of the biggest cities, so there’s no kind of like tech meetups or UX meetups. What can we say for those people who aren’t maybe as forward and as out there as many the rest of us? JESSICA: Yeah. Thank you for asking. I appreciate that question because as I mentioned earlier, I don’t have children and I don’t have other obligations to keep me from going out and doing things, but you might have small children at home, you might have a health issue that that keeps you from being as active and out and about as you would like. All sorts of things. In that case, I just recommend low effort approaches to putting yourself out there. It could be as simple as keeping your social media accounts active. Setting a goal, like I mentioned, maybe 20 minutes a week, 30 minutes a week, putting time on your calendar to tweet, to read one article a week and make sure it’s an interesting one, one that you agree with and set up some tweets to it and tweet a few times that week. Or it can be the same thing as the LinkedIn feed. I really appreciate the LinkedIn feed now. I think in a lot of ways it’s what Twitter used to be when Twitter was smaller and more focused, especially from the design community. It could even be posting something on the LinkedIn feed, checking the LinkedIn feed, if people share something interesting, thanking them for it, just liking and commenting on stuff. That’s stuff that doesn’t take a lot of effort, but it still keeps you connected to the community and it helps keep you top of mind for when it comes to other people in the industry who might end up helping you someday get your next job. JAMES: Yeah, I think you’re right about LinkedIn. I mean it’s difficult. I think it’s difficult nowadays at least in the countries that we operate mainly and it’s difficult to maybe to avoid LinkedIn nowadays. I think low effort wise you probably could get away with just maybe liking someone else’s post as a kind of really, really low barrier and a point of entry. JESSICA: Yeah. I think you two had talked, I know you two had reviewed one of my links on a link show, or one of my blog posts on a link show maybe six months or a year ago. And you talked about, one of the things that I thought that I really appreciated that you took away from that article was the value of saying thank you. Thanking people in the industry for writing this great blog post or thanking people in the industry for sharing this great idea. That’s another simple thing you can do as well. If somebody shares something really insightful on LinkedIn or Twitter or whatever it is, just a simple thank you can really go a long way at it. People really appreciate that. JAMES: Yes. They do. I know Anna Dahlström who’s one of our co-host now in UX podcast, she’s writing a book, or in the last phases of writing her book, and she shared this this week, how someone had just written to say thank you for even writing this book. It’s not ready yet, but thank you for putting the effort into to do it. She got a really big lift now at this final stage. Now there’s last few weeks she got a really big plus, a boost from someone just taking the time to reach out and say thank you for even for even trying to do this. I’m really looking forward to it been done. JESSICA: Yeah, I agree. I mean, and I, I get that sometimes. I really appreciate it. Just a simple thank you or a comment on one of my blog posts or something and it goes a long way. PER: Our friend Christopher McCann actually posted on LinkedIn the other day, a quote that was along the lines of making someone else look good does not make you look worse. I think that captures the essence of it. JESSICA: Yeah. And another thing I recommend to people too is if you can, there’s a difference between flattering someone and then giving them valuable grateful input on their work. Like if you just wanted a flat or somebody, you can be like, “This is an awesome article, Jess.” Like if somebody said that to me, I’d be like, “Thanks.” It I might make me feel good, but it doesn’t tell me like why you think the article was awesome. But what I really appreciate is if somebody comments on my blog post and they say, “Thank you Jessica. This is a great article. It helped me realize that I can do more ahead of time to plan for my next job. I hadn’t thought of that.” I really appreciate you sharing this thank you. And what that does for me is it, first of all, I mean it makes me feel good, but more importantly it actually gives me feedback on what’s working well about my blog post. Like I’ve gotten comments like that before and then I think, okay, great. My blog post is working because the goal of the posts was to encourage people to invest ahead of time and finding their new next UX job instead of waiting until they get laid off or fired. Now you’re not only giving me, you are not only making me feel good, but you’re actually giving me really valuable feedback on why my post was helpful to you, so that’s a huge thing. Again, on top of saying thank you, like give them input that they can use to keep improving what they share. JAMES: Also think about Per, when you’ve encouraged me during the years when we’ve been to conferences, the whole thing about reflecting and saying, what did I get out of this? What did I learn from it? And just by taking the time to think, reflect and noted down increases the chance that there’ll be some positive action that comes from it later on. PER: One thing I think a lot about when I get all these questions around how do I find my next dream job as a UX designer, is that I’ve been in this business for a long time and I’ve been a freelancer and I’m usually not in the situation myself where I actually have to apply for a job. I’m thinking maybe my advice is not the best advice anymore. Also I’m thinking it, I don’t even know how I would apply for a job today and I’m thinking that the older I get, the more difficult it will be for me to find a job. Do you have any thoughts on being a senior job searcher within the field of UX? And what I realized is that he’s so senior and almost so specialized that he’s almost created this niche for himself and that he really has to find the right fit for what he does. What he did five years ago, he hasn’t done it in five years, so he doesn’t have a lot of recent experience with it. And that was huge for me. It was a huge light bulb moment, because I just assumed for a long time that, well, I work at Center Centre, a very highly regarded educational institution in UX. Jared Spool is my boss. He’s one of the most highly regarded people in the industry. Who wouldn’t want to hire me? I could work wherever I want. I used to think that and then I had this… and I know that sounds a little Hubris but I had my moments where I was like, yeah, I’m going to be fine. And then I talked with this friend of mine and I said, oh, maybe it’s going to be harder for me than I thought. It was just very humbling. And again, it just reinforces for me, it reinforces everything that I’m doing and like putting myself out there about the designer I am and the designer I want to be so that people know who I am. I’m more likely to find a job that’s a good fit for me because more people know who I am and know what I do. JAMES: This is something I’ve thought about too, when you confronted by the question about tools. I don’t use sketch. I don’t concrete high fidelity wire frames all over the place and something which you see coming up is, “We need you to use sketch for this project or this thing because the process demands that.” How would you recommend that someone deals with that tool question because you feel you have got lots of skills and a whole toolbox full of abilities to mediate a good design, but how do you navigate that question? JESSICA: I’m so glad you asked this because I love this question and my answer to this question is focus on getting good at learning new things rather than focusing on what tool you need to know. Because the tools are always going to change and you’re always going to be learning new tools. Sketch is the really popular tool right now, a year or two years from now, it might be something else and you’re going to have to learn that. That’s been a huge thing for me. I actually learned that from Chris Risdon. He teaches a lot of prototyping workshops, so at least he used to, I don’t know if he does anymore. People used to ask him all the time, during the workshop, what prototyping tool should I learn right now? His response always was try to focus on getting good at learning prototyping tools rather than focusing on the tool you need right now because whatever tool you’re using right now is probably going to change. That’s what I recommend to people and I just love the idea of focusing on the skill of learning. Learning is a skill. It’s like it’s a muscle you can build like going to the gym to build your biceps. Like you can focus on how you learn and build up your learning skills so that the next time you need to learn something you can do it quickly and effectively and then you can get up to speed and working on what you need to do. JAMES: I love the idea of working out your muscles, your learning muscles, excellent. JESSICA: Yeah. And it’s something that a lot of folks like myself included really, until shortly before I got this job, I hadn’t really thought about it either. Like learning how to learn, treating learning as a skill that you can grow. Just like prototyping as a skill. Just like user research is a skill. Learning is a skill. Learning is so contextual. Learning a tool is different from learning how to facilitate a user interview, right? There’s so many different ways that you can learn based on what you need to do. I think the more present you are with your learning and the more thoughtful and the more reflective you are. You talked about reflection earlier, we’re huge on reflecting. It’s like looking back on what you did and thinking about what you did effectively and what you could do differently again. If you do that with your learning, it’s going to set you apart as a designer. It’s going to equip you to continue moving through your career. PER: I think being here, yes, I once told myself, my younger self that I need to stay curious throughout my life or otherwise I’ll become a very sad person. JESSICA: Yup. My boss has a saying where I’m probably going to butcher it, but she says, learning is so critical to life that once you feel like you’ve stopped learning, then you might as well be dead because learning is just part of living. I love that. JAMES: Yeah. If you’ve reached that destination where everything’s learned and you’re confident that everything you know is the final answer then that sounds quite sad. JESSICA: Yeah, it does. It sounds really boring and underwhelming if you ask me. JAMES: Well thank you very, very much for joining us Jessica. JESSICA: Oh, you’re welcome. Thank you so much for having me. It was a real treat to be here. PER: Thank you so much. JAMES: This thing about kind of the pension saving or investing in keeping track of what you’ve done and achieved is a really important point. I know me and you, I haven’t updated my list of projects on my website now for, it must be half a year because I can’t remember last time I did it. They’re the really, really short descriptions of what I’ve worked with because when I do get around to doing it, it’s usually long after the events and I can’t remember the details. It feels like I can’t get sign off from the customer to talk about various things and so on. But the idea of journaling, I’ll keep these like design diary I really, really like and I like the idea of that you would maybe just note down something a few times a week at the end of the day. Something may be, what did I learn today? What challenged me today? What did I achieve today? So that you build up that collection she’s talking about that you can then easily pull onto create story. PER: Yes. That whole idea of taking small steps and doing the small things that create a big impact. There’s this quote at my gym that I love that the best exercise is the exercise that gets done, because it really doesn’t matter if you’re not doing any exercise, then it won’t happen. But if you’re doing just tiny things, I think everyone will be surprised by how much of an impact that will have, because it’s so much more than the nothing. Just that idea, and I love that metaphor as well of investing in your future, investing in your pension. Just start doing it is sort of my message too at this listeners and strategize. If it’s only 10 minutes per week, you can make those 10 minutes count a lot. JAMES: Yeah. I suppose it’s also like doing a research project on yourself. That you’re, kind of, just reflecting back on what am I doing with my work so you can keep a little bit of track of it so that when the time comes you can build it into something coherent? PER: And reusing content. Because I think one of the posts that Jessica has is lots of useful links and articles to things that other people have written. That’s an example of what she’s doing. She’s promoting others, but she’s also promoting herself in the sense that she’s showing and guiding other people to find all that great stuff. JAMES: Yeah, that we see time and time again. I know it’s also something that you’ve talked about that of sharing your research. If you’ve spent X amount of hours trying to work out, how to go about a certain thing or how to solve a certain thing, just put it out there. It doesn’t have to be a 2000 word formal Medium post. It could be as simple as that you just share the links on LinkedIn, one after the other that you found useful for achieving something. You might not even have to say why you allow a conversation to appear or someone might say thank you is a really good read. Then you can reply and say, yeah, this really helped me achieve X.
You’re creating, you’re sharing plus you’re networking and you’re creating a conversation that helps you maybe even remember why something was useful it might be of while I’m taking equally useful and perhaps getting your next job. PER: Exactly. There were so many fantastic tips from Jessica. It’s just like a checklist of stuff that you really need to be doing and do the small stuff and make sure that you keep learning how to learn as well which I really loved that concept. JAMES: I think as well that what the things that she’s saying or said to us, I think you can use what she’s saying, no matter whether you’re in education or about to get your first job, you’re in a job looking for a new job, or if let me and you we’re self-employed and maybe while always looking for help for clients, for new clients or new work to do. PER: Yeah, it was hugely relevant for everyone really. PER: Speaking of links, the links related to this episode are on the uxpodcast.com and we also send them out as part of our backstage email, which you can sign up to uxpodcast.com/backstage. JAMES: And also, Per and l and I are going to be at two conferences this spring. We’re going to be going to from Business to Buttons and UXLx. And I think right now there’s not a huge amount of tickets left for either of them. JAMES: I think they both said they’re into their last 60 tickets or something. If you want to come along and say hello then you better be quick, they might even all be gone by the time you hear this. [Laughter]. But fairly if you want some suggestion of listening to do next, then we recommend episode 190, which is a link show featuring an article by Jessica and also episode 118, which was Inclusive Design with Sara Lerén. Then we also mentioned Jessica in that podcast. PER: Goliath down, thou looketh tired. This is a transcript of a conversation between James Royal-Lawson, Per Axbom and Jessica Ivins recorded in March 2019 and published as Episode 208 of UX Podcast.